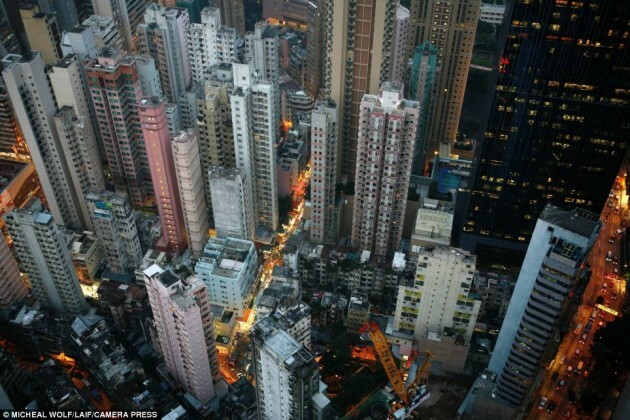 As noted on an early post, Hong Kong apartments average around 400-500 sq-ft of usable space. More and more young professionals, couples & families are having to cram their way into smaller and smaller apartments. Hong Kong is known for its efficient city network and economy. Yet our homes are terribly inefficient. There are ways of living more comfortably small though. All small apartments should have one moving wall. In many overseas places the size of our apartments are studios. Here? We have two bedroom apartments…it doesn’t make sense but quite frankly we need the rooms for added privacy and storage. With more rooms come less space though. But a moving wall solves this problem. That wall that separates your room and living room, push it away and you can have more space. Heck you may even be able to invite some guests over. Folding away a bed instantly creates more space. Just imagine a moving wall and a foldable bed. With the combination of these two you can double your physical footprint. 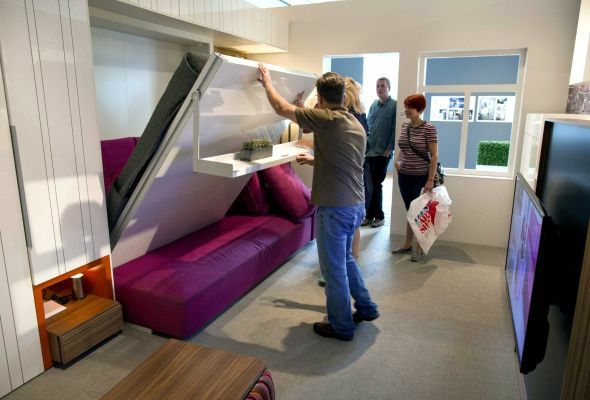 Murphy beds aren’t your usual sofa beds, they are much more engineered for easy lifting. Sorry for the looong description, but we don’t know how else to describe it. As a home cook, I still find the need for just a few more square feet of counter top space whilst cooking. In Hong Kong, the kitchen is a completely separate room with a door. The logic behind this is to prevent the smoky Asian fumes/steam from stir fries from spreading to the rest of your apartment. Hence the door, plus not all kitchens have fume hoods. The picture below is the closest example we can find. But we are not asking for a full scale hefty table top, just a surface to place our chopped up veggies and protein on is enough. 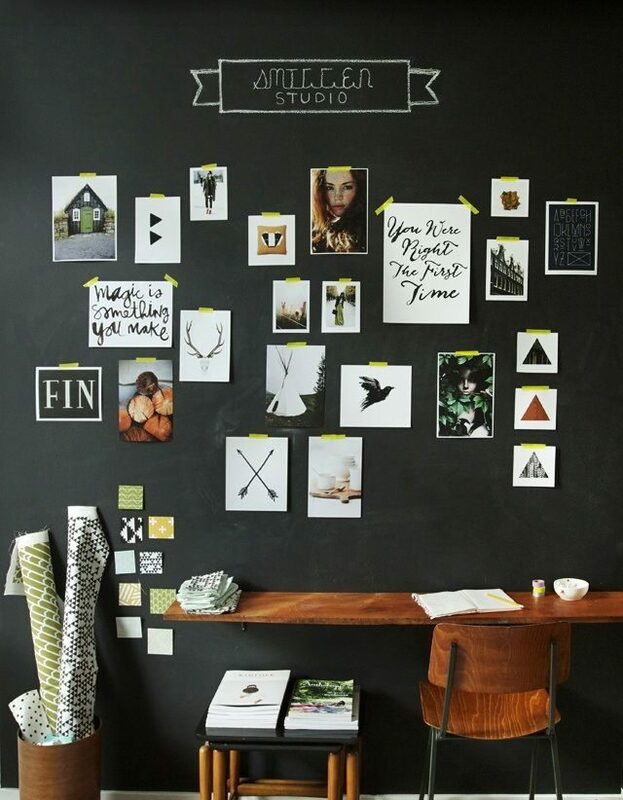 We say this with caution because you don’t want to have all your walls magnetized, otherwise you will end up with vertical clutter. However, we do see how this can be helpful for certain walls that coincide with a specific function. For instance, a wall where you can use as a mail sorting/message zone or for magnetic planters. Remember, the great thing is, no drilling of holes!!! We wrote a post about how they can keep your energy consumption down in unison with an A/C unit at the correct temperature during the summer. But unfortunately many apartments in Hong Kong places A/C units in strange positions that doesn’t exactly have air flowing towards you. 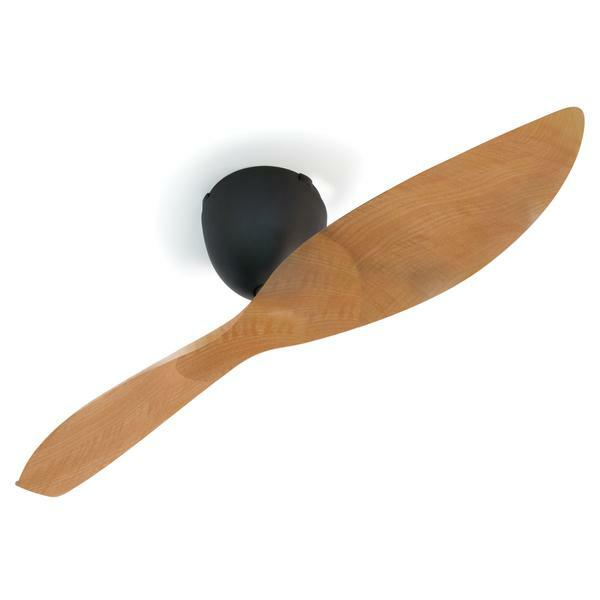 With a ceiling fan however, it circulates air making you feel cooler. Loving the moving wall solution! Hopefully we can see more of this in small apartments and make them more cost effective as well.